This 7" came with white center record label in a folded sleeve. Both tracks are running too fast. Side A is an early version of "A Forest", mistitled "At Night (Live)" on sleeve. Live in Amsterdam, Melkweg (12/12/1979). 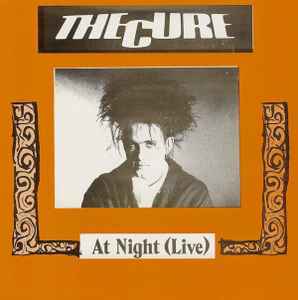 Side B Studio Demo for Hansa International, recorded at Sound And Vision Studios, London (11/10/1977), taken from the same session as Easy Cure 1st Demo (1977-1978).